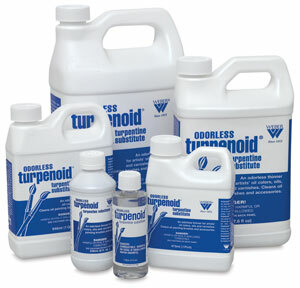 Use Weber Odorless Turpenoid as a medium with artists' oil colors and varnishes. It has a PEL (Permissible Exposure Limit) of 500, the highest of any product in its class. It evaporates quickly and cleanly, and leaves behind no harmful residue that could promote cracking in oil painting. 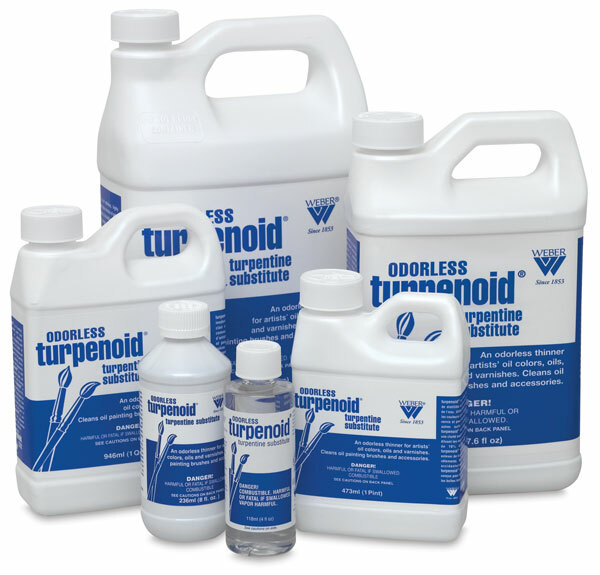 Odorless Turpenoid also makes an excellent brush cleaner and solvent, and is useful for removing paint spots from clothing.